Delta College students, staff, and community members are looking forward to visiting a mysterious country that has been shrouded by Communist rule since the 1950s -- Cuba. "Experience the forbidden island before it changes forever," reads a promotional flyer being circulated by tour leaders Felicia Peters, professor of business, and Crystal McMorris, assistant professor of English. From a jumping off point in heavily Cuban populated Miami, sites to be visited on the island include Havana, Mayabeque Province, Zapata national Park, Cienfuegos, Trinidad and Santa Clara. 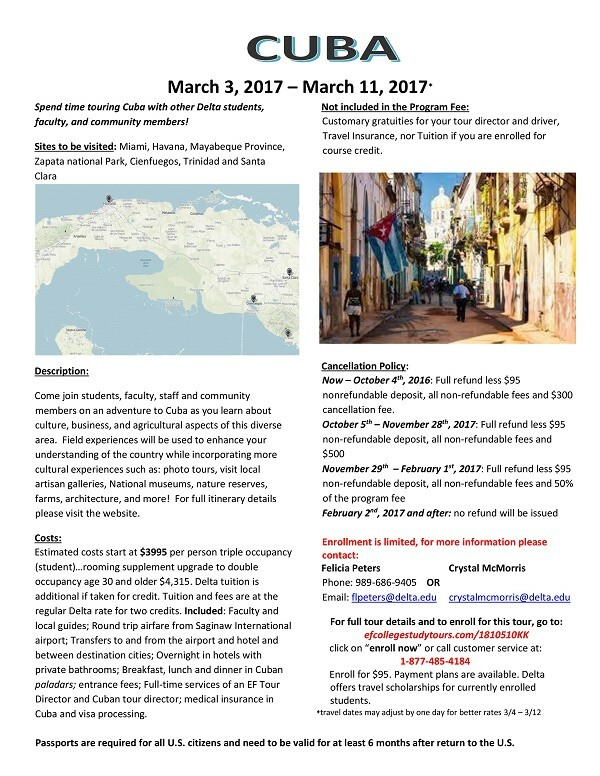 "Come join students, faculty, staff and community members on an adventure to Cuba as you learn about culture, business, and agricultural aspects of this diverse area. Field experiences will be used to enhance your understanding of the country while incorporating more cultural experiences such as photo tours, visit local artisan galleries, National museums, nature reserves, farms, architecture, and more! For full itinerary details please visit the website," the flyer states. Academic credit is available in News Writing or International Business courses. Since the advent of the Fidel Castro regime in the 1950s, travel to Cuba has been severely restricted until recent diplomatic initiatives by President Barack Obama have eased tensions and lowered travel barriers. The college lists "Benefits of Studying Abroad:"
*Increase your understanding of other cultures and diversity in the world. *Experience the increasing interdependence of the U.S. and other countries. *Sharpen interpersonal and communication skills through interacting with people from different backgrounds. *Improve your ability to use a foreign language. *Enhance your sense of independence and self-confidence. Another academic benefit to visiting Cuba is inherent in every aspect of the island's very existence -- History. "The history of Cuba began with the arrival of Christopher Columbus in 1492 and the subsequent invasion of the island by the Spaniards. Aboriginal groups -- the Guanahatabey, Ciboney, and Taíno -- inhabited the island but were soon eliminated or died as a result of diseases or the shock of conquest." 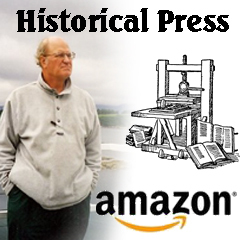 States nationsonline.org: "Colonial society developed slowly after Spain colonized the island in the sixteenth and seventeenth centuries; pastoral pursuits and agriculture served as the basis of the economy. For the first three centuries after the conquest, the island remained a neglected stopping point for the Spanish fleet, which visited the New World and returned to Spain with the mineral wealth of continental America. "Colonial society developed slowly after Spain colonized the island in the sixteenth and seventeenth centuries; pastoral pursuits and agriculture served as the basis of the economy. For the first three centuries after the conquest, the island remained a neglected stopping point for the Spanish fleet, which visited the New World and returned to Spain with the mineral wealth of continental America."